Vaishali, considered to be World’s First Republic and currently an Archaeological site, is situated in the district with same name, Vaishali, in Bihar state of India. 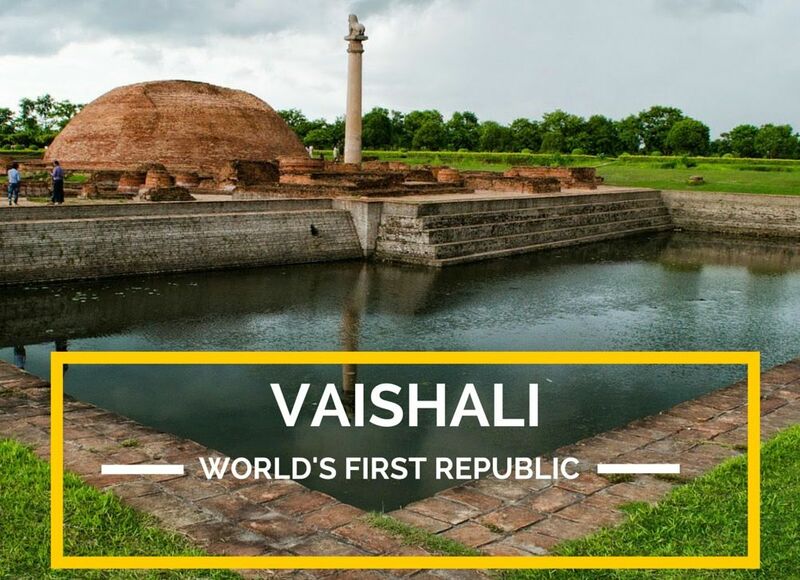 Vaishali derives its name from King Vaishalik whose heroic deeds are narrated in the Hindu epic Ramayana. There is also a Coronation tank called Abhiskek Pushkarn. It is believed that all elected representatives were anointed here before they swear-in as members of assembly. Jagdish Prasad Sharma author of “Vaishali The World’s First Republic”, explains how the representatives were the effective government and whatever decisions they took it was in accordance with the wishes of the gang (assembly). The government was fully authorised by the constitution to act freely and independently, provided it remained accountable to the assembly. 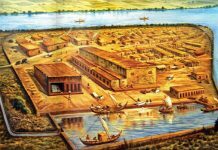 The city was also an important point as Buddha traversed the area preaching his new-found Middle Path. 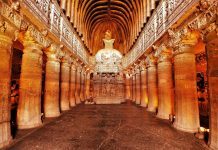 It was in Vaishali that he delivered a sermon for the last time before he went to Kushinagara where he died, or as Buddhists believe attained Mahaparinirvana. 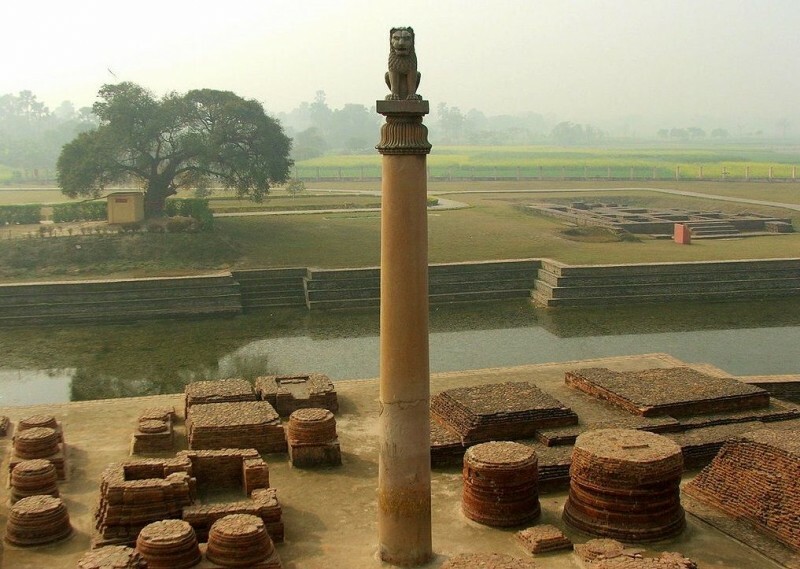 In third century B.C., the Great Mauryan emperor Ashoka, erected an Ashoka Pillar here, to commemorate this. It is 18.3 m high and made up of highly polished single piece of red sandstone. A figure of lion is placed on the top of pillar. 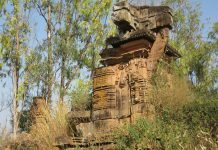 There is a brick stupa and a small tank around it.